In addition to our Electrical division, we also supply, service and install Fujitsu Air-Conditioners for Domestic, Commercial and Industrial purposes. One of only three Fujitsu certified Warranty Specialists in the Northern Territory, our dealership is currently ranked as 'GOLD', something we're very proud of. 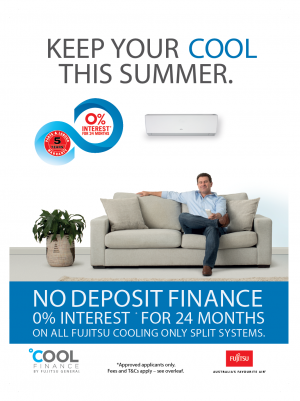 We sell and install from the smallest domestic split system, through to the largest commercial system including HRV's and all systems installed by Johnny Cool Darwin are covered by Fujitsu 5 year warranty.